Saved the best for last. There is a saying that great teams find ways to claw and scratch their way to victory in tough situations. But does it say anything about teams that can explode their way to victory in a matter of seconds? An explosion is a good way to describe the Pens' comeback, and a timely explosion at that. Trailing 2-1 with just over 5 minutes left in the game, Nick Johnson powered one past Falcons' goaltender Gustaf Wesslau to tie the game up at 2 and prepare the Springfield crowd for some likely overtime. But the Pens had other plans in mind, and just 29 seconds later Dustin Jeffrey found the back of the net to complete one of the fastest comebacks of the season. 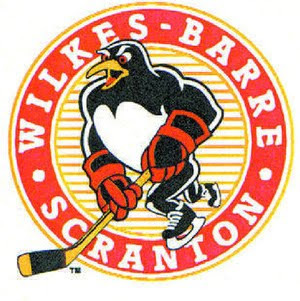 Former Falcon Bryan Lerg added an empty netter in the final minute to ice the game for WBS and also pick up his first of the season. This must have been frustrating for Springfield, who controlled the scoreboard for a large portion of the game. Ryan Craig did put the Pens on the board first with his 5th of the season, but Tomas Kubalik answered with a pair of goals in the 1st and 2nd periods respectively. Both goals were a product of nice setups, and were the only 2 shots of the night to find their way past Brad Theissen, who made 18 saves for the win. Too often does it happen where a team snoozes through the majority of the game, and then finally elevates their play once it is too late to stage a comeback. This could have been the Pens today, but it just shows what a special group of guys WBS has this year to be able to explode like this. Especially Dustin Jeffrey. WBS picked up some great free agents this year, but so far their #1 guy is someone that they've had all along. Jeffrey has stepped up to the plate as essentially the leader of this team, and clutch goals like the one today only prove it further. It is not a matter of "if" he will be called up this year, but "when."